Stars are so twinkly... so magical... so funky. It's no wonder I'm drawn to starry themes when I get crafty. Stars are fascinating, especially when added to earrings, bracelets, and necklaces. You can make your stars simple or dress them up with beads. Wire stars lead a doubly creative life. They add funky little accents to your jewelry creations. 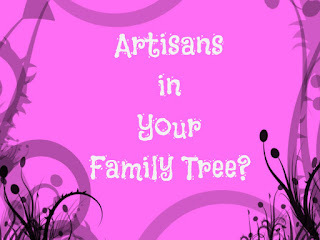 You can also use them to spice up your home decor when you add them to photo frames, mobiles, and other crafty projects. You could go twinkle-twinkle wild, but start out simply, please. Try making an uncomplicated pair of wire star earrings. 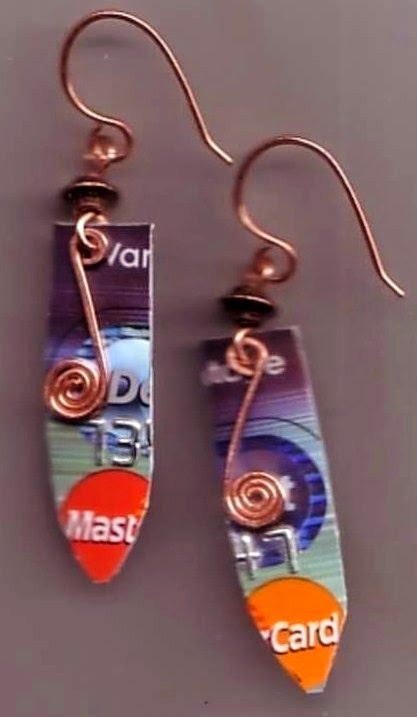 You or your teen can create them inexpensively with craft wire and a pair of earwires. You can add beads if you choose and your project still shouldn't take more than 30 minutes. This wire star technique is so simple, you can easily create a few of your own. All you'll need is wire, jewelry making tools, and a sense of whimsy. The choice of wire is up to you. I recommend experimenting economically with a package of copper or blackened steel from a hardware store. They cost around $8. each for a 50-foot package... lots of wire to have fun with. Copper and blackened steel make really funky jewelry and when you're ready, you can move on to expensive sterling silver or gold filled wire if you choose. Cut a nine-inch piece of wire for each star. Each piece will make a five point star approximately 1 & 1/4 inch by 1 & 1/4 inch dimensions. After forming your star, you'll have a little wire left over to wire in beads or other details. Create a zig-zag pattern by using your pliers to bend nine angles in your wire. To make it a bit easier, measure and mark your segments using a fine line marker. The next 8 angles should be at 1/2 inch intervals. Make your points sharper by shaping the angles with the edge of your pliers. Give your stars a little magic! Use the longer leftover wire section however you choose: cut it off and curl the end into place. Use it for decorative effects: wave it, then fold it across the star. Add a bead or two (little star beads are just perfect) or twirl it round and round. If you want a flat wire texture, hammer the points and angles after you curve them into place. File or sand rough edges to make them smooth. For boldish stars, use 16 gauge wire. For smaller stars, use 7-inch pieces of 20 or 22 g wire and bend the first angle at 1/2 inch and the next 8 angles at 1/4 inch intervals. What can you make with wire stars? To make a simple pair of earrings, create two stars the same size and dangle them from a pair of earwires. Get really funky with non-matching earrings. When you make asymmetrical earrings, you create a whole new kind of magic. Add beads. Make swirls or waves or twirls with the extra length of wire. Add a pair of ear wires to finish them off. For a different look, dangle them from a piece of chain before adding the ear wires. Add a jump ring or bail to a large star and dangle it from a chain. For a fancier, look add beads and wire trim. To make your own chain, follow the instructions in "3 Simple Wire-Working Jewelry-Making Secrets..." Make your chain long enough for a necklace. Use jump rings or figure 8s to dangle different sized stars from the center 6 inches of your chain. Add whimsical details with beads and swirls and more stars. Follow the basic instructions in "Build a Bracelet" and create a funky freeform bracelet with a mix of stars and other shapes. Wrap your gift package then tie it with twine or thin ribbon. Finish it with a bow, then tie stars onto the loose ends. Make large stars for your Christmas tree using 12 inches of wire per star. Bend 9 angles at 2 inches for the first angle and the rest at 1-inch intervals. Finish by adding a little bit of imagination. Now go forth and have fun making funky little stars.